Let’s be honest, overeating is a common cause of bloating and since it’s the holiday season, I thought you’d appreciate a couple of tricks on beating the bloat after all the delights you’ve consumed. After pigging out on various foods your stomach might get frustrated and confused so what’s a better way to sooth it than sipping on lemon water that can promote digestion and help release gas. Massage can be helpful to relieve bloating and gas. Lie down on your back and gently apply pressure in circular motion from your right hip to your ribs and colon. You may not want exercisein public while experiencing bloating but some moves can help you pass gas effortlessly. For example, “Apanasana” has you hugging knees to the chest and switching between Cow and Cat poses can make it easier for gas to travel through your intestines. 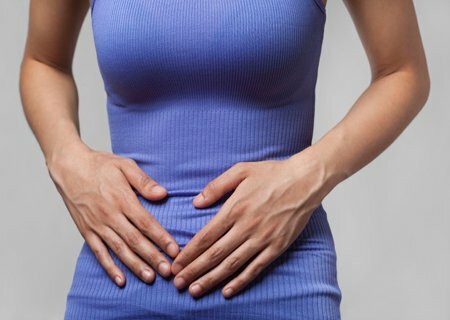 Probiotics is a controversial point here since another common cause of bloating is lactose intolerance. But if you are not known to struggle with lactose breakdown a probiotic strain B.infantis could help you improve digestion with good bacteria. Just waiting it out could be a sound strategy for stopping belly bloat. If you’ve been overeating for days now, it’s time to expend those extra calories without taking in more. While you’re trying to beat bloat or avoid it in the first place watch out for reasons that make you gassy. This entry was posted in News and tagged bloating, health. Bookmark the permalink.